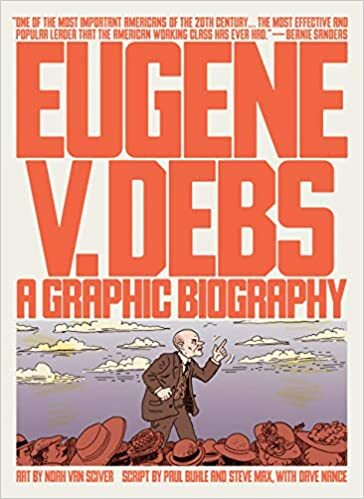 For reasons that might be obvious, there has been a resurgence of interest in Eugene V. Debs in recent years. With the USA returning to a new Gilded Age, there is naturally a tendency to see how earlier generations confronted plutocrats like John D. Rockefeller Jr. and the politicians he consorted with. John D. Rockefeller Jr. lived in the penthouse of 740 Park Avenue, the city’s most expensive real estate. His 34-room apartment now belongs to Stephen Schwarzman, the head of Blackstone and a close friend and adviser to Donald Trump, who is notorious for the vulgar ostentation of his birthday parties. He celebrated his 70thin 2017 by throwing a party that cost 9 million dollars. It featured strolling camels and was capped off by Gwen Stefani singing “Happy Birthday” to the plutocrat whose asset-stripping operation of nursing homes in England led to the death of 19 patients suffering from dementia. In 1914, John D. Rockefeller Jr. was the strategist behind the Colorado National Guard and Baldwin-Felts Detective Agency assault on the Ludlow miners that left 21 people dead, including the wives and children of the miners. Although Woodrow Wilson appeared to disassociate himself from the murderous attack, he and the Presidents who preceded him were opposed to the right of workers to form trade unions. As I pointed out in a review of Chad Pearson’s “Reform or Repression: Organizing America’s Anti-Union Movement”, a President’s “neutral” stance was just a ploy to allow the boss to have his way after the fashion of FDR’s “a plague on both your houses” during the Little Steel Strike. Louis Tikas made Ludlow holy as Jesus Christ made Calvary! He was the loyal leader of the persecuted colony ; the trusted keeper of the tented village. He was loved by every man, woman and child, and feared only by the fanged wolves and hyenas that threatened to ravage the flock. Strong as a giant yet gentle as a child; utterly fearless yet without bravado, this great and loving soul cast his lot with the exiled slaves of the pits and kept his vigil over the defenseless women and children of the village as a loving mother might over the fledglings of her brood.